The Panchami Thithi will be a good omen for the state government. The AP chief minister Chandrababu Naidu will conduct three programmes on June 25 in the Amaravati Capital Region, hoping that the Panchami Thithi will be auspicious for capital works. Mr. Naidu will perform sankusthapana for the first road of the new capital, the “Amaravati Capital Access Road" near Venkatapalem. He will begin at the Anna canteen at Malkapuram where he will distribute reconstituted plots to the pooled farmers at Tullur. According to the Hindu religion, panchami, the fifth waxing day, is ruled by Lalitha Tripura Sundari, and is considered auspicious for all works. 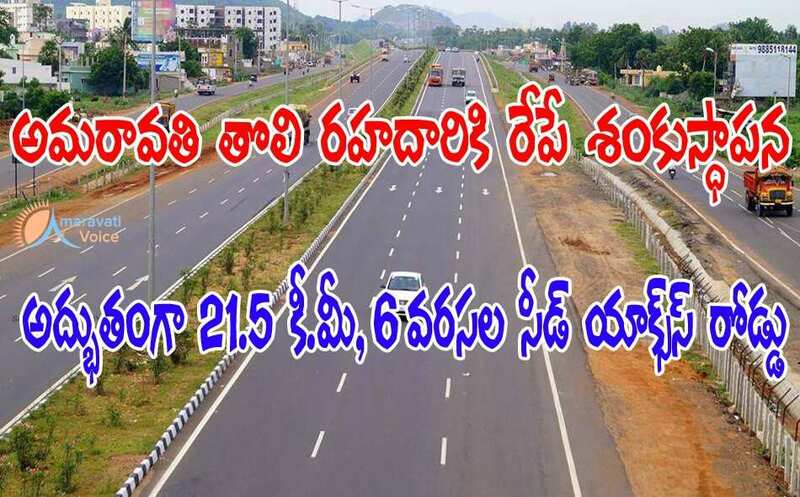 Amaravati Access Road with an iconic hanging bridge would start at Kanakadurga Varadhi and will end at Borupalem connecting Mahanadu, Seethanagaram, Vijayawada-Chennai railway track, Buckingham Canal, old Madras highway, Undavalli, Tallayapalem, Uddandarayunipalem, Modugulankapalem, Amaravati Government Core, Seed Capital, Rayapudi and will end at Borupalem on the banks of Krishna river.